Q. Hi i want to cite an author with the style Vancouver and I didn’t find this style. How do i do to add it ? 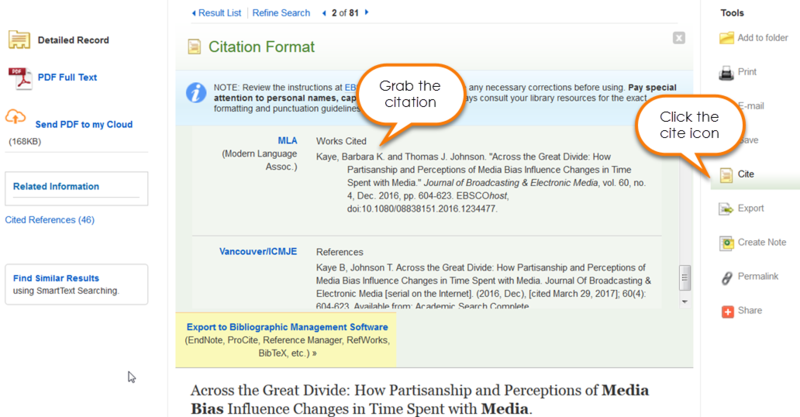 Citation Format will appear above the article or eBook cited in multiple formats. Select Vancouver style. Copy the citation and paste into paper.